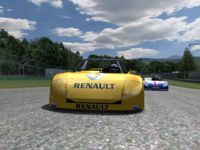 There are currently no setups for RENAULT SPIDER CUP. Add a Setup. 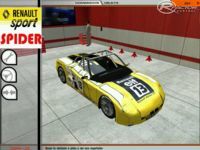 There are currently no car skins available for RENAULT SPIDER CUP. If you are a painter you can share skins for this mod via the Car Skins area. Visit the Spray Booth for painting tips & tricks. The link is down. Can you re-upload the file. Congratulations Homer2005 !!! This is the first rFactor mod I've tried with real Arcade Race Game physics for rFactor. 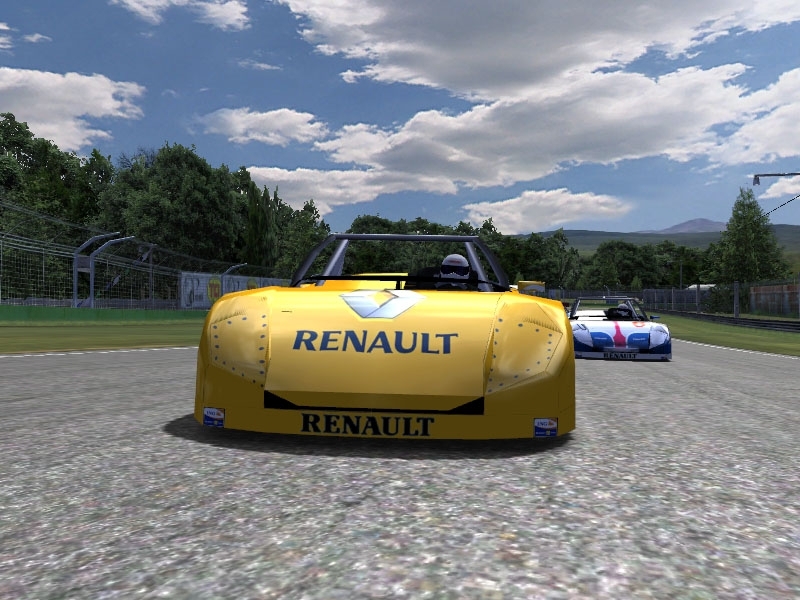 This version of the Renault Spider drives in rFactor like most cars in Arcade Race Games, but also has at hte same time a "realistic rFactor" feeling. I don't know what exactly is wrong with the physics but I think: the tyres have way to much grip, the car mass is to low, the downforce is to high, the gear settings are very wrong and the breaks are very strong. Oh, and there is no working tachometer and I can't see in which gear the car is in. But still thank you for the mod. The physics can be fixed. Had a quick test with this one. It was fun, but mod is totally unrealistic. Car goes through curves like it's on rails and it has wing settings but no wings(?). Huge amount of grip compared to other mods. And brakes were more powerful that Formula 1 car's. Hi thanks for this, been searching for one for ages and it has finally appeared. We have two of these one of them is Andy Priaulx's one! Looking forward to seeing if it handles like the real thing.